Simple Superfoods Review (2019)- Weight Loss Made Simple? 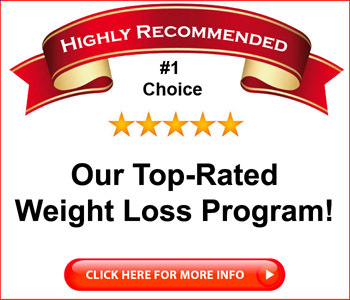 Simple Superfoods Review – Weight Loss Made Simple? These days, it seems like everyone wants to lose weight…but no one really wants to work at it. That’s not a criticism of any individual; that’s a simple fact of human nature. Losing weight is hard, and people naturally want to find easy ways to get hard things done. Fortunately, author Sarah Short has written a book called the Simple Superfoods, and she says that by eating these foods, you’ll lose weight, have more energy, sleep better and possibly live longer, too. That’s a tall order just for eating some food, whether it’s “super” or not, so I decided to take a closer look. Is Simple Superfoods a scam? 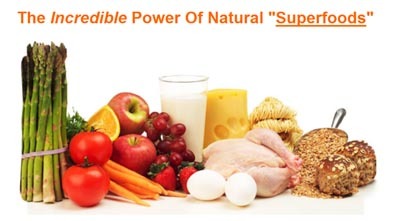 Click here to visit the Simple Superfoods Website. Read on for the full Simple Superfoods review. 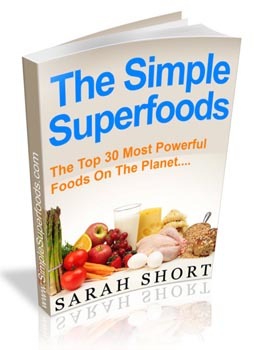 The Simple Superfoods book is sold as a downloadable PDF ebook. That’s convenient, as this format is portable and can be read on nearly any device you might own. It’s also convenient in that you can download the book any time that you like, without having to wait for the mailman to deliver it to you. The book seems to be sold without any upsells, which is a bit unusual in this market niche. 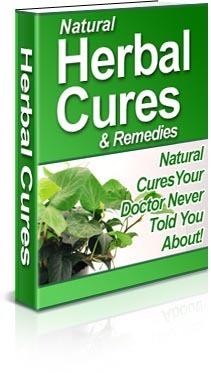 There is a bonus book offered with purchase, called Natural Herbal Cures & Remedies. The bonus book is a 72 page PDF that offers advice for using various herbs and other naturally occurring substances to cure or help you recover from various injuries and illnesses. This book was not written by Simple Superfoods author Sarah Short, and has no author credit at all. As for the main Simple Superfoods book, it’s a well-written, 46 page book that points out that some foods are good for you and some foods are bad for you. That’s not news; everyone knows that. But Simple Superfoods then points out that all good foods are not equal, in that some foods are better for you than others. The author points out that one popular vegetable is actually 90% water and has relatively little nutritional value. Yet people eat it as though they’re going to benefit from it in some way. The Simple Superfoods book then points out that there are a number of foods, however, that are much better for you than average, and these foods are referred to by the author as “superfoods.” The book then goes into detail about 30 of these superfoods, with a section on each one, explaining what’s “super” about it and why you’ll benefit from including it in your diet on a regular basis. One thing of interest on the list of items in the Simple Superfoods book is what is not on the list. There are more than 30 foods regarded by nutritionists as being really good for you, but some of them are overrated or overhyped. Others are actually really good for you, but are rather obscure, meaning that you might have trouble locating them in your local supermarket. Others are both obscure and expensive, meaning that you’re going to have trouble finding them and you’re going to have to pay a lot of money for them once you find them. Since neither of those things are going to inspire the average person to go hunt them down, Sarah has wisely elected to leave them out of the book. That means that there’s no mention of Acai berries or dragon fruit or the now-ubiquitous quinoa in Simple Superfoods. Instead, Simple Superfoods offers writeups and descriptions of thirty of the author’s favorite superfoods that you will be able to find in your store at affordable prices. Each of the 30 items in Simple Superfoods has its own little mini-chapter, with about 300 words to describe each one. You’ll find out why the food is good for you, what vitamins, minerals or other components contained within it are beneficial, and how you’ll benefit from including it in your diet. After the writeups of the 30 items, there’s a chapter regarding how you can incorporate these items into your diet on a regular basis. The Simple Superfoods recommends that you try to include all 30 of them in your diet, and that you strive to eat at least five of them each day. 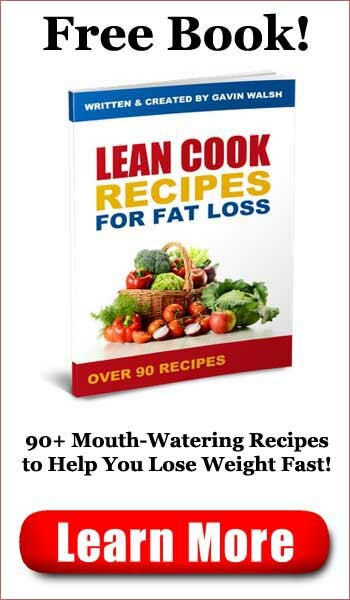 The author also recommends that you rotate them on a regular basis, in order to make sure that you receive the full complement of benefits and to ensure that you don’t get bored eating the same foods over and over. There are also a couple of related books mentioned at the end of the book that the author recommends, along with links to learn more about them if you’re interested. I’m not sure about the claims the author makes about losing weight, getting more sleep or eating longer if you eat these “superfoods,” however. Yes, they’re good for you, but you’re not going to lose weight if you simply add a few blueberries to your takeout pizza. There’s also no mention whatsoever about getting some exercise. Adding a few nutritious foods to your diet alone isn’t going to magically transform your life. For that, you’re going to have to make some major changes to your diet and get some regular exercise, and these things are not mentioned in Simple Superfoods. Is Simple Superfoods a scam? I won’t go that far, but the sales page does exaggerate the benefits of adding these foods to your diet. These “superfoods” can certainly help, especially when incorporated into a healthy diet combined with appropriate exercise. Those things aren’t really covered in the book. Of course, these foods are good for you, and if you add them to your diet while removing less-beneficial foods, you’ll likely benefit from it. The book is informative and well written, so that’s a plus. Simple Superfoods is kind of so-so. Helpful for some, but it’s not going to help everyone.